As I look at the calendar, with winter stretching on for the next few months, I am determined not to let cabin fever get the best of us. Which means I’ve been filling up my ‘mama school’ board on pinterest with all sorts of indoor activities that Burke and Pi might like. Before we start on those, I wanted to try Jordan’s favorite playdough recipe. Jordi and her girls love this recipe, so I had high hopes that Burke and Piper Jane would love it as well. And it did not disappoint! 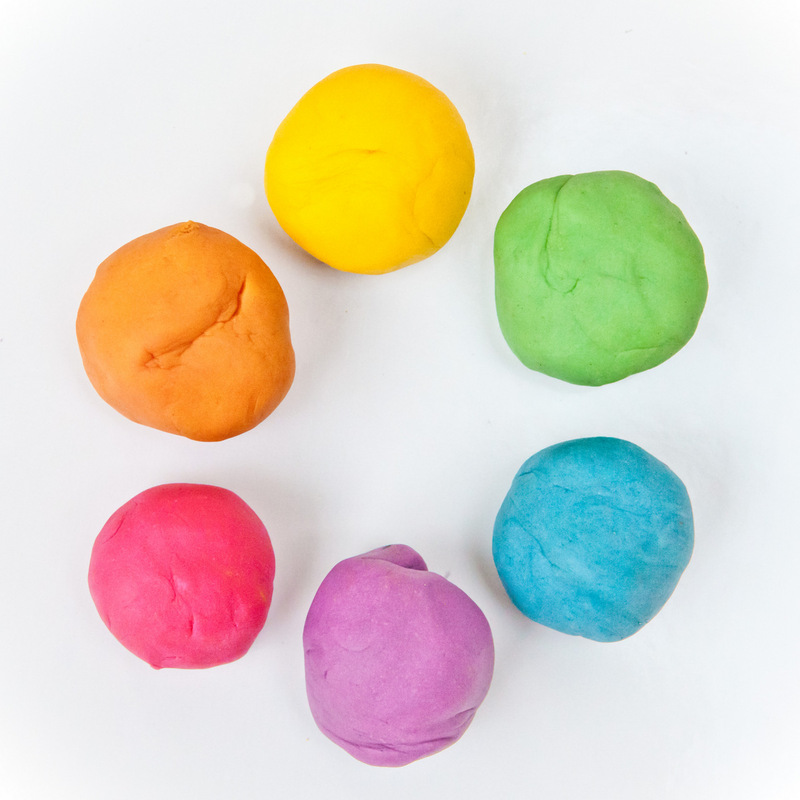 If you are looking for an indoor, perfect-for-winter activity, this playdough recipe is it friends. Place the pan over medium heat and stir until dough is completely formed and no longer sticky. It doesn’t take long – keep stirring! Allow it to cool before dumping it out for your patiently not-so-patiently waiting kiddos. Do you have any tried and true cabin-fever-fender-offers? We’d love suggestions! 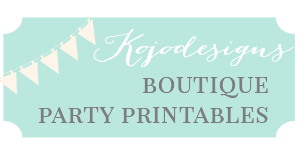 ps- Kelli– thanks for passing this recipe along to Jord once upon a time! Trying this today! Cabin fever here! YAY! And, oh my, here too! If you have any other ideas, send ’em my way. We go through PlayDoh like crazy! I need to do this. My boys would love it. Glitter? Genius! Piper Jane would love it! I love this more than I can tell you. I love you, buddy. 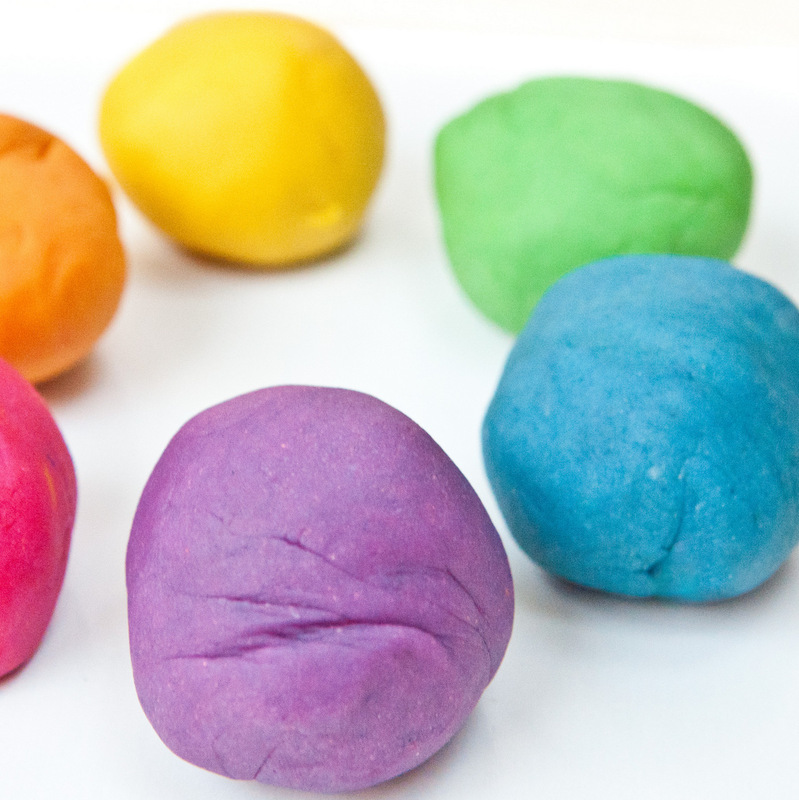 a handy hint that I do to make playdough is to use boiling water instead of cooking it. Might not work with this one but it is easier. thanks for the tip michelle! Hey Erin- we’ve been keeping it in zip lock bags (it keeps remarkably well). You could probably keep it in sealed tupperware as well. Hope that helps! A great play dough substance makes for terrific beads, kids projects, knowing that yours & your family’s creation will stand the test of time. The last time I made play-doh the recipe called for half this much water nd was really sticky once the kids played with it. Any tipsw on whatwent wrong? I’d really like to make this recie and am nervous! Hmmm- maybe the lack of water made a difference? 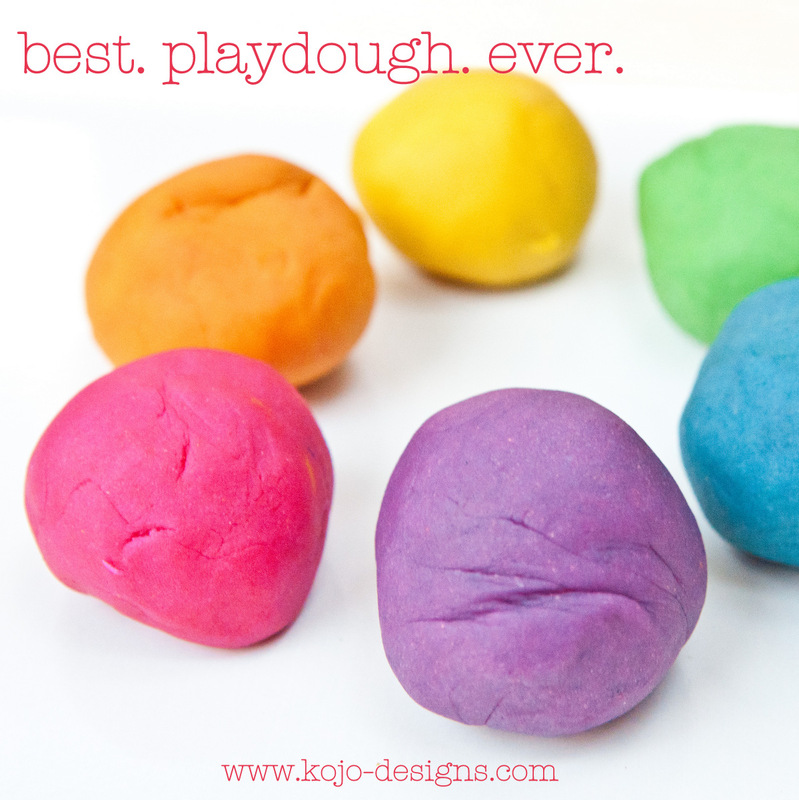 We’ve never had super sticky playdough (well, once, when they poured water all over it, but not after we made it). As a mom, I have followed your blog for a while now. I absolutely love it! Now, I am the marketing/graphic designer for a non-profit here in Tucson, Arizona, USA. We make a quarterly newsletter for parents. I was hoping to be able to use you as a resource for activities and include some of your photographs. I would, of course, give your blog the credit! If you could e-mail me, that would be great! Kudos on a great blog! Look forward to hearing from you! I love this! I will email you shortly! Can you use corn starch instead of cream of tartar? I want to make this but i wanted to know. Thanks. Hey Ashley- I haven’t ever tried it with corn starch, but if you do (and it works), will you let me know? 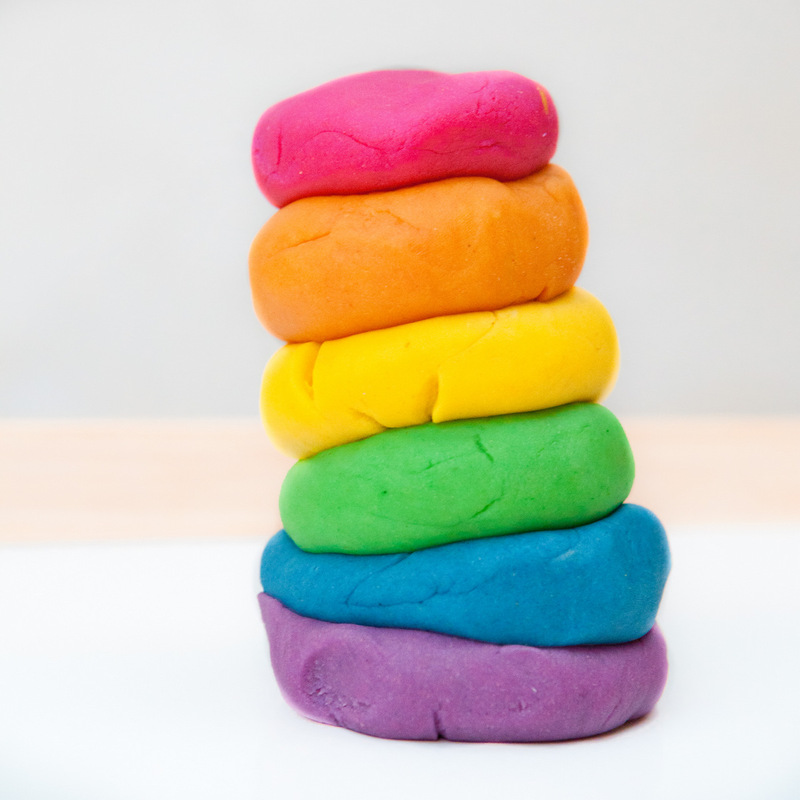 Love this play dough recipe! It’s great! The kids loved it! Thanks! Caroline, this comment reminds me to add this to our to do list for next week! Glad you kids love it too!